There is a new law taking effect as part of Nevada’s continuing efforts to lower the number of auto fatalities in the state annually. Governor Brian Sandoval recently signed into law Senate bill 259,  which requires all drivers who have been convicted of driving under the influence of alcohol in the state of Nevada to use an ignition interlock device on their vehicle for six months. Previously, those who had only been convicted once for driving under the influence generally had their license suspended. 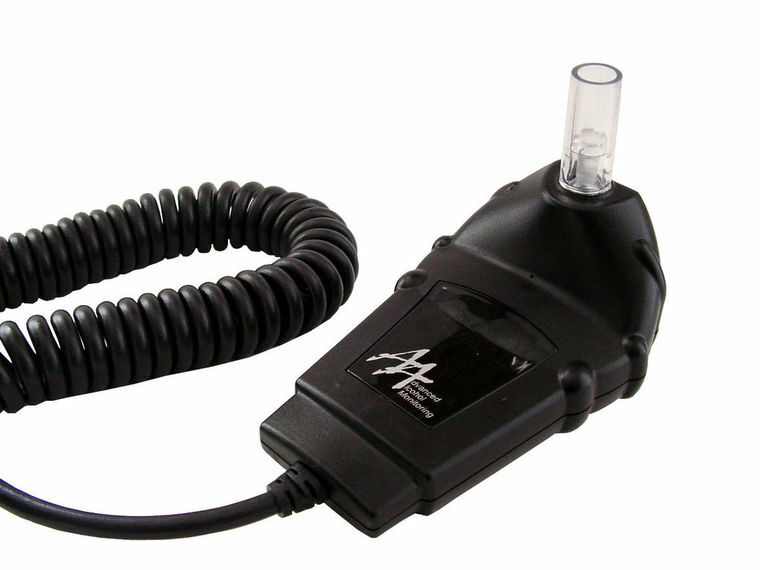 An ignition interlock device is a breathalyzer that is installed in an individual’s vehicle. To operate the vehicle, the driver must blow into the device. The device prevents the car from starting if the driver is alcohol-impaired, meaning that their blood alcohol content is above 0.08. If the driver passes the initial breathalyzer test, the car will start. Some states require “rolling retests” as well, where the driver will be asked to blow into the device again once the car is in motion. If the driver fails the rolling test, the vehicle will sound its horn and flash lights until the driver pulls over and turns off the engine. In order to turn the vehicle back on, the driver must pass a breath test. Previously, the law required those with a blood alcohol content of 0.18 or higher, or those convicted of a second drunk driving offense, to install an ignition interlock device for one year. Judges also had the option of ordering someone with a first-time DUI with a blood alcohol content between 0.08 and 0.17 to use an ignition interlock device for three to six months. The new law, which will take effect on October 1 2018, will affect approximately 1,500 drivers annually. It will require any individual who is arrested with a blood alcohol level of 0.08 or greater to use an ignition interlock for six months, unless the judge determines this would not serve the interests of justice. According to the Center for Disease Control and Prevention, 29 people die every day in the United States due to traffic accidents involving an alcohol-impaired driver. These are deaths that could theoretically be prevented by keeping drunk drivers away from the wheel, which is precisely what ignition interlock devices were designed to do. A recent study by Johns Hopkins University found that ignition interlock devices reduce drunk driving fatalities by 15%. The CDC also states that ignition interlock devices are more effective in preventing fatalities than license suspension alone. Because any individual arrested for driving under the influence of alcohol in Nevada will be required to install one of the devices, Nevada is now considered an “all-offender state”. Oklahoma signed a similar bill earlier this month. There are 29 other states with similar status, including Arizona, Utah, and Oregon. California has no such law in place. Groups like Mothers Against Drunk Driving are pushing for similar legislation nation-wide in order to stem the tide of alcohol-related auto fatalities.